Custom commissioned watercolor portrait from photo as a gift for the customer's husband. Their beloved dog was getting older, and she wanted a keepsake. Her review "fantastic buying experience, beautiful work, excellent communication-we love, love, love our piece of art & will treasure it always!" 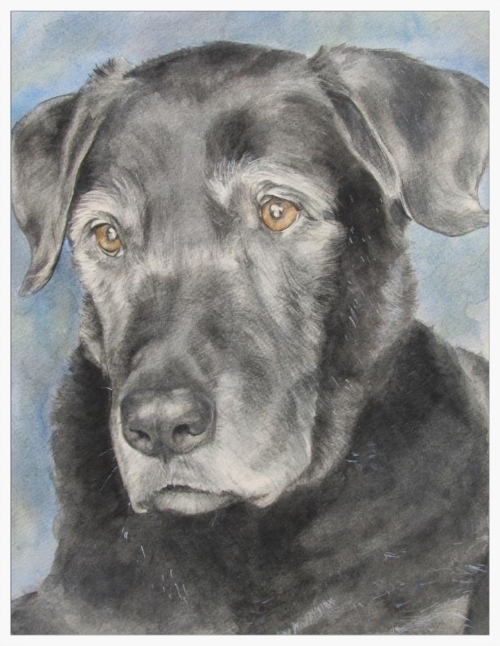 It is easy to commission a custom portrait of your loved one or special pet. I paint the portrait from your photos and to your specifications! Watercolor - 14" x 16"
Have a favorite wedding photo you would like as a painting? It is easy to commission a custom portrait. I paint the portrait from your photos and to your specifications! 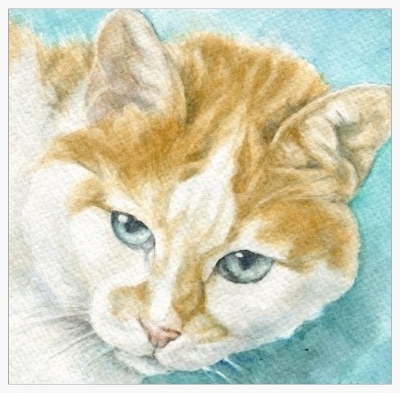 Watercolor - 6" x 6"
The customer's review: "Wonderful artist and a pleasure to work with! The photo I sent her was definitely not the best, but she turned it into something amazing. Great communication from beginning to end, as well. Very happy customer!" Watercolor - 7" x 5"
This is a painting of my sister's pony, Dusty, in his later years. I loved the dramatic lighting.